Let me tell you a little story … Back in college, I went on an Outward Bound backpacking and rock-climbing adventure in the Appalachian Mountains. We practiced “leave-no-trace” camping techniques, which meant we took everything with us that we used while exploring the wilderness, and we never stopped at a real camp-site with facilities. We wore the same clothes the entire trip and certainly didn’t shower for more than a week. As you can imagine, after a few days, we all started to feel a bit dirty. But you know what the twice-daily saving grace was without a drop of soap to cleanse the face or body? Brushing the teeth. That’s right, in the depths of nature, if you can somehow get a clean mouth and clean teeth, you can really feel like a new person. 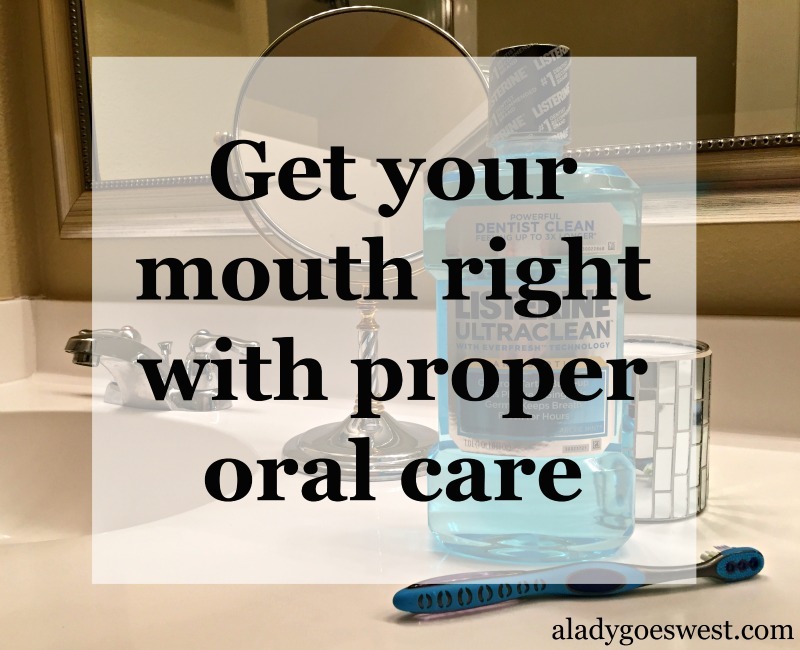 We often read about the importance of getting enough rest, hydrating, moving more each day and eating healthy, but we don’t always talk about something as un-glamorous as oral care. But boy is it a necessity. 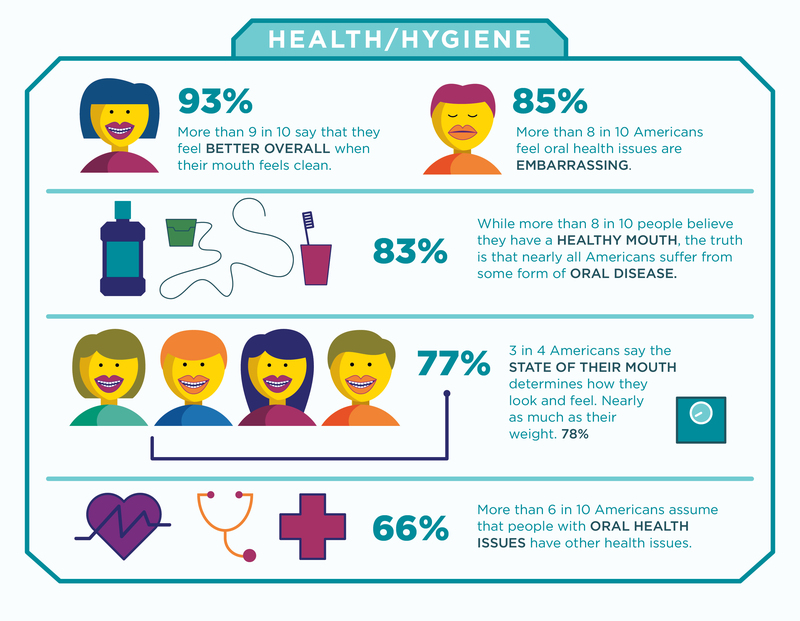 In fact, I’ve got some statistics to share with you today that will reinforce just how important oral care is, not just for your overall health, but also for how you feel about yourself in general and what people think about you. MOUTH vs. WEIGHT: According to a study by the LISTERINE® brand, more than a third of Americans say the state of their mouth determines how they feel, which is nearly as much as those who said the state of their weight determines how they feel. Wow. GUM DISEASE and TOOTH LOSS: But according to that same study, more than half of American adults over the age of 30 suffer from gum disease, and that increases to 70 percent in American adults over the age of 65. What’s even scarier? About half of Americans between the ages of 20-64 have lost a tooth due to oral disease. Not good. MORE THAN MEETS THE EYE: The study also said that more than half of Americans think that if a person has dental problems, that person is more likely to have other health problems as well. Ouch. YOU NEED MORE THAN A TOOTH BRUSH: And not to be the bearer of bad news, but did you know that brushing alone misses about 75 percent of your mouth, which means there are a lot of germs let untreated, like gingivitis and plaque, and that can lead to oral issues? But I’m here to tell you that if you use a therapeutic mouthwash, you can help prevent some future problems and ward off many issues. If you’re not sure about your own oral care and health, let this stand as a reminder to make sure you are brushing, flossing and also rinsing with a therapeutic mouthwash (like LISTERINE® Antiseptic Mouthwash) as part of your twice-daily oral care routine to get the the job done right. Just like you try to fit in those workouts, fit in those mouth-cleaning sessions too. It’s good for you! And take it from me, if you ever go on a backpacking adventure in the wilderness and are totally “roughing” it, please know that dental hygiene is non-negotiable, no matter the circumstances. (EDITED to add with program updates …) And by the way, LISTERINE® is partnering with Oral Health America (OHA) for the Fall for Smiles campaign. The brand is jump-starting the giving by committing a donation of $20,000 to help OHA with its mission to educate communities about the importance of oral care. And with that, I’m off. Have a lovely day! *Disclaimer: As part of a Socialstars campaign, this post in sponsored by LISTERINE®. 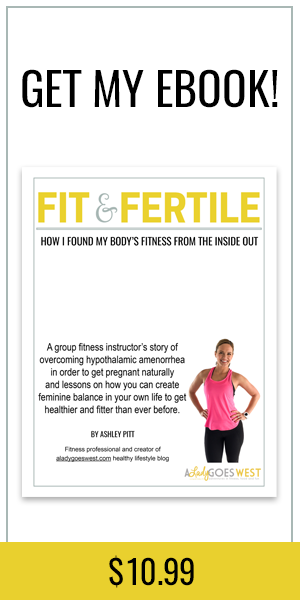 I’m always interested in learning about all things healthy living and enjoyed sharing this with you. All of the statistics shown, as well as the graphic, are from the brand study. And please know that the thoughts and opinions expressed here are my own. For more information, visit LISTERINE® on Facebook or LISTERINE® on Twitter. What’s your oral health-care routine? Do you have a daily healthy habit that you’re obsessive about? Hahahha – you bet, James! Get your mouthwash. 🙂 Hope you have a lovely day! There’s some great info here! 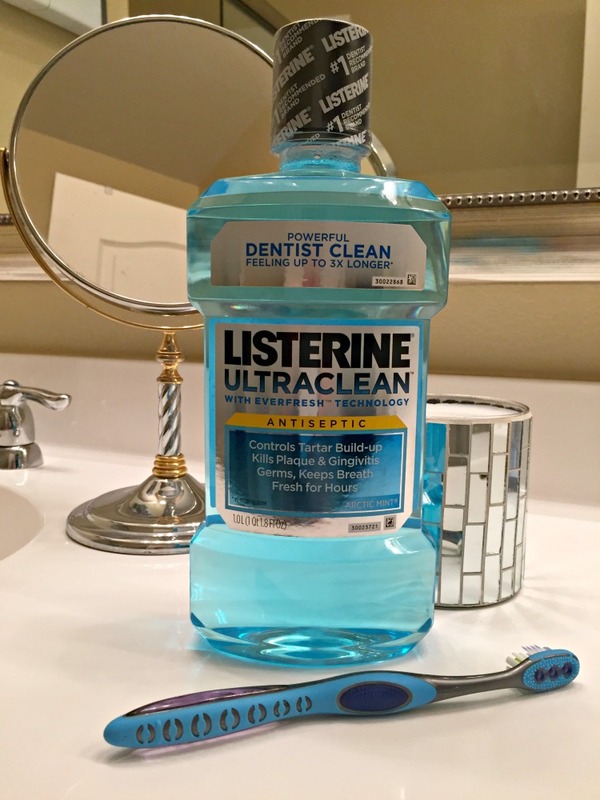 I have been using Listerine for years and years, and it’s made such a difference in my overall health. While I brush and floss every day, I love swishing in between meals and always feel so much cleaner! Even though I’m totally obsessed with my teeth and find oral hygiene one of the most important parts of my morning and night – I have SO many cavities! Don’t feel bad – some people just have poor genetics when it comes to teeth, so no matter how meticulously they care for their teeth, they still end up with problems! And then on the other end are those people who brush their teeth once a week and have perfect teeth… it’s just an unfair world! I can totally see that about your mouth determining the way you feel. Having even the slightest thing change feels so weird! After not going to the dentist for two years after college and having 5 cavities I now floss and use mouthwash EVERYDAY!!! I don’t like regular floss so I use those little dental picks which are great! I love having a freshly cleaned mouth so I totally understand how it can affect how we feel. Hi Patricia! Oh man, that’s not fun! I guess you must be super careful now:) Hope you had a great day, lady!